The frontispiece of the book. A PHILOSOPHER OF ANTIQUITY ONCE DESCRIBED A HAPPY STATE WHERE THE WORLD SHOULD BE RULED NOT BY KINGS, DICTATORS, POLITICIANS, ECONOMISTS OR EVEN SCIENTISTS, but by a band of artists, painters, sculptors, architects, poets and musicians. They alone, so the philosopher thought, could set men free from base desires, from those horrible projections of themselves they call by the names of heroism, patriotism, glory and all the rest, from the false equation of possession with well-being and of incessant stimulation with happiness; they alone could inspire their followers to live like lords and owners of the universe instead of peaking and pining in the slough of materialism, afraid of attack from some powerful enemy and at the same time committed to a belief in increasing wealth as the panacea for all ills. The sceptics and cynics of our age will brush aside the philosopher’s idea with a smile of amused contempt and relegate it at once to the realms of the impossible. They would certainly refuse to admit that such a state did actually once exist. Ossian, however, relates that in ancient Ireland a golden era once prevailed where artists were esteemed beyond all others; they were the highest in the land, their lightest word was law and even royalty bowed down before them. When they had occasion to travel abroad they were accompanied by trains of minor bards and instrumentalists, perhaps two hundred or more, and they were most sumptuously entertained by the kings and chiefs of all the territories round about who each considered it the greatest honour imaginable to receive as his guest a poet, a painter or a musician, even though he should be ruined by the cost of supporting the eminent man and his retainers. At that time the artists lived carefree in a splendid palace called Ardna Gashel which had been specially built for them to the designs of the foremost architects among them on the shores of Bantry Bay. It might be supposed that the style resembled that of the cyclopean architecture of the great tombs in the valley of the Boyne, but not at all. It anticipated developments which lay thousands of years in the future. The facade which looked towards the water was classical in character, with a broad Ionic portico, busts of Greek and Roman poets set in roundels above the tall first floor windows and statues of the Muses gazing calmly from the parapet. But the south front, facing the gardens, was extravagantly Gothic. 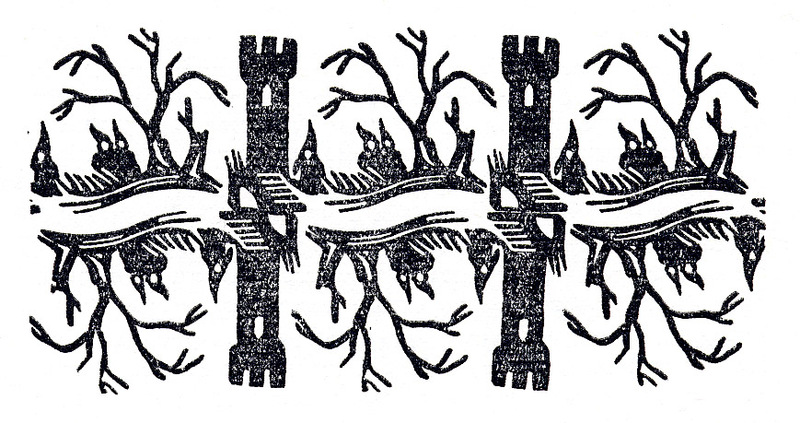 Battlemented and flanked on one side by two lofty towers, one round, the other square, and on the other by a jutting, gabled wing, the irregularly placed lancets and the two-storeyed porch with its ogival arch and surmounting niche enclosing a statue of Felimid mac Dall, the storyteller, were almost hidden beneath a heavy mantle of that bright green ivy which grows only in Ireland. 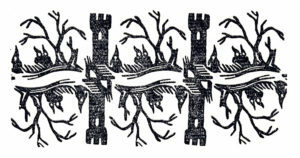 An Edwin Smith woodcut used to embellish the text. The landscape in which the palace was set was varied to suit every taste. For those who liked nature tamed and trimmed there were formal gardens laid out with box parterres describing richly scrolled or rigidly angular geometric shapes enlivened by urns and hauntingly beautiful marble terms. Divinely proportioned, intensely alive, these terms stood in a semi-circle against tall yew hedges enclosing a fountain at the end of two long beds. They were holding seasonal fruits, signs of the Zodiac or the paraphernalia of the Muses, their lips parted in bewitching smiles. Above their white bases and fluttering garments their uplifted arms were gauntleted in dark, slaty green moss, while their cheeks and brows were mottled with lichen. Utterly irresistible they were the genii loci of Ardna Gashel. Beyond these statues inviting paths led through plashy meadows to secret, hedged recesses, to smooth lawns and a green theatre where marble figures of Harlequin and Columbine were just emerging from the high wings of yew. Behind the theatre stretched a landscape of low hills and trees enclosing a lake fed by a formal cascade. Some of the hills were crowned by temples and obelisks, and a grotto beside the water was embellished with statues of nymphs and tritons. Wilder spirits could seek out mysterious glades of oak and ash, where the torn roots of fallen trees clung to upturned boulders, where canopies of tangled creepers shut out the light of day and torrents burst from jagged rocks to shake delicate fern fronds and dash with their foam the walls of moss-grown ruins. Round about Ardna Gashel there were streams bordered by willows and marshes full of flowers, slender St. John’s Wort which bloomed only on midsummer eve, red campion, wood betony, meadowsweet, danewort and the scentless mayweed. And everywhere there grew sacred thorn trees of immense size, that in the green of the year flung forth their heady fragrance far over the bay. From the windows on the north side of the palace could be seen the delicious blue waters of Poul-na-Gorm and beyond them the peaks of the great mountains Lissmor and Croagh, all their cruel confusion of crags and boulders smoothed by distance into lovely shapes of the softest pink and the darkest indigo. The interior of Ardna Gashel, like the outside, was both classical and Gothic in style. There were suites of banqueting halls, libraries, picture galleries and ballrooms furnished with marble fireplaces carved with the figures of pagan gods and goddesses and with marble pilasters with gilded Corinthian capitals, and these rooms were adorned with plaster friezes of rams’ heads or pretty cherubs set among palmettes or acanthus leaves and with reliefs in ovals of poets, composers, sculptors and painters from the legendary past. And there were other apartments dominated by swelling fan vaults, pointed arches and massive stone chimneypieces animated by the grotesque figures of monsters and occasionally by sculptures representing St. Keiran, St. Kevin, St. Columba or St. Finbar. The rooms included studios of all sizes and innumerable concert halls suited to the performance of every kind of work, from a mere trifle for the piano to the grandest symphony or opera. The composers were waited upon by a company of musicians of such brilliance that their most difficult works were executed with the utmost perfection the moment they were finished. As for the painters and sculptors, they were encouraged by a bevy of ravishing girls who fired their imaginations to such white-hot pitch that the masterpieces they produced at the height of their powers have never since been matched. Now in the caves on the edge of Poul-na-Gorm there lived a colony of coal-black, smooth-furred cats with their king Arusan. These cats moved freely about Ardna Gashel and were indeed one of the chief delights of the place. They were the objects of special awe and reverence to all the common folk round about, and their air of unapproachable mystery and wisdom, their superb and impertinent indifference made many suspect that they and not the artists at all were the true rulers of the country. All the painters, sculptors and poets, all the musicians and architects took pleasure in the flexible grace of these wonderful creatures, in the perfect curves of their gliding motion, in their aristocracy, their gentleness and gravity. Arusan was always present at Ardna Gashel when a new work of art was completed and usually expressed his approval with caressing movements of his sleek head. He was extremely happy when he recognised his own portrait in a picture or heard his name mentioned in a poem, and when he felt his own rippling movements echoed in the rhythm of a sonata or a song he could not restrain his loud purring and stretched his claws in ecstasy. This was a time of unclouded joy; the whole of Ireland was given up to the pleasures and exhilaration of love and creation. Duty never conflicted with desire and there was no pain or fear, sin or strife, or poverty. Death himself appeared, as once before, in another Golden Age, not in the form of a grisly skeleton but like a charming boy bearing a torch which, when the moment came, he quietly extinguished. Unfortunately however, the lavish praise, the incessant attention and the great privileges accorded to these artist-rulers were in the end their undoing. They became, I regret to say, swollen headed. The symptoms of the sad change first became apparent in the work of the celebrated woman painter Edain. She suddenly began to produce the most ill-natured, distorted caricatures of her companions and of the kings who had so generously entertained her at their courts. But worse was to come. Soon Edain no longer cared whether the images on her canvasses conveyed anything at all to others: she, who had heralded Raphael in the perfection of her technique and Rembrandt in the disciplined expression of her passions, now cast aside all the established elements of pictorial composition and produced first senseless splashes and fatuous medleys of colour, then a series of black and white arrangements of dots and lines at which no-one could look without becoming permanently cross-eyed, and then filled two large picture galleries with a display of decaying vegetation, rags, rusty iron and all kinds of discarded, often nauseating waste material. Nobody dared to criticize Edain and indeed greater praise and higher prizes were showered upon her than ever before. She became excessively bad tempered and could admire nothing but her own rubbish. Meanwhile Phaidrig, until now acknowledged as the greatest poet in all Ireland, burst forth on the slightest provocation into such scathing satire and wrote odes of such bitterness that all declared they would sooner die than incur his anger. Not content with this reaction Phaidrig took to writing complete gibberish, stringing together random words and parts of words and giving the haphazard results odd titles such as “Giddy-up Neddy” or “No-nonsense Bingo Jingle” which did nothing to clarify his intentions. Yet this twaddle was hailed as the work of a master and learned academies, institutions and universities all over the world vied with one another in conferring new honours and distinctions upon Phaidrig. He was made a doctor of philosophy and was crowned in public with a laurel wreath fashioned of gold and set with emeralds. As if this were not bad enough, Cearnac, the architect of the most enchanting temples and follies in the demesne of Ardna Gashel, when asked to design a residence for the famous Fergus mac Rory erected a sterile, rectilinear pile of steel and glass with not a single projection to relieve the bleak inhumanity of the smooth walls and not a single moulding or carving to grace the stark interior. The same severity, the same cold, impersonal emptiness assailed the eye in every room. In vain did Fergus search for some indication in the design of the apartments of the multifarious activities of a great household, in vain did he look for some heart-warming link with tradition. Yet though he was repelled and even alarmed by Cearnac’s strange conception, he did not venture to question him in case it should be thought he was a Philistine and therefore unworthy of the high office he held in a state where art and artists were supreme; he actually made a speech praising the purity and exquisite proportions of the building. And on the following day he further debased himself by pretending to admire a bronze cast of a tailor’s dummy set on an inverted cooking pot which Cathfa the sculptor had designed for the forecourt of Cearnac’s shoe-box structure, and which a distinguished scholar had acclaimed as infinitely more profound and more formally satisfying than any of the statues at Ardna Gashel. Even more bewildering was the inexplicable rejection by the celebrated musicians Clothru and Lavarcham of all the principles which had hitherto governed composition. Rhythm and harmony were replaced by undisciplined noise, and not always the noise of musical instruments. Clothru, for instance, on one occasion threw numbers of ping pong balls into the interior of the piano, punctuating the erratic twanging of the strings by banging the lid of the instrument as loudly as he could. Lavarcham rattled dustbin lids against a recorded background of the screech of a hundred slate pencils and the uninterrupted ringing of a hundred door bells and followed this by five minutes complete silence which was supposed to be the most significant part of the whole symphonic poem, as he called it. 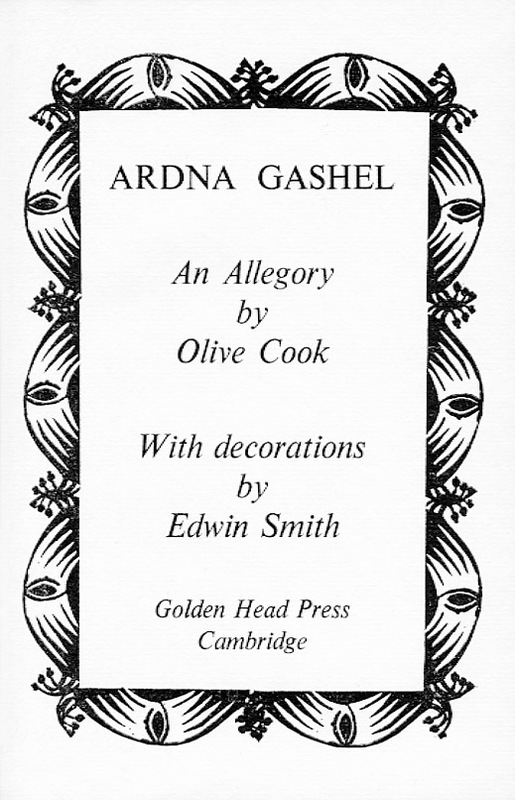 Although they had succeeded in intimidating or bamboozling the entire world, the artists of Ardna Gashel were far from satisfied. They began with one accord to insist on their rights and to make their position absolutely unassailable. They demanded that a special Council should be formed to secure their dues. Phaidrig was elected president and poets, painters, architects, musicians and many critics were elected to protect the privileges of artists in all the territories round about. Intricate legal documents were drawn up by the celebrated scholars Grug and Grag and Grangait concerning such knotty points as the number of colours poets and painters should be permitted to wear and whether composers should be allowed to adorn themselves with golden brooches as well as with golden circlets in their hair. When after many months of interminable meetings and discussions it was decided that only painters might dress in purple and that whereas poets should be distinguished by six colours, poetesses might wear only five and that sculptors and architects, both men and women, were ~o be limited to browns, blacks and sober greys, then such a hullabaloo of jealousy and covetousness, of pride and insolence broke out that the whole country began to tremble beneath the rule of the insufferable artists. Arusan and the cats were well aware of all that happened, but being well bred they gave no sign of their thoughts. They merely stretched, sighed to themselves and retired to the innermost part of their caverns. It happened about this time that Finvarra, King of Connaught, came to Ardna Gashel wishing to do homage to the men of genius as his fathers had done before him. With him to entertain them he brought a retinue of servants and wagon loads of fruits, wines and all kinds of rich foods. So splendid were his preparations that the road along which he travelled to Ardna Gashel is still known as the Road of Dishes. Finvarra intended to feast and to celebrate the great men of Ireland for three days and three nights. Patiently he sought to find some meaning or pattern in Phaidrig’s latest scribbles, reverently he endured the earsplitting clanking and crashing, bombilation and reboation of the musicians, blankly but humbly he gazed at the dauntingly geometric or gimcrack contrivances which he was told were Cathfa’s crowning achievements, bravely he brought himself to examine with a show of enthusiasm Edain’s unintelligible daubs. But far from being pleased by his attentions, these ollaves of poetry, music and the arts were thoroughly discontented. They expected lengthier and more particularised praise for their compositions which they now truly believed surpassed all that men had ever created. As for the delicacies with which Finvarra sought to regale them, the artists spurned them and hankered after rarities which it was impossible at that season to procure. Phaidrig especially sulked and glowered, would neither eat nor drink and was consumed with jealousy if the king so much as glanced at another bard or indeed paid the slightest attention to anyone but himself. Finvarra was distressed and sorrowful and confused by this reception of his homage and in the bitterness of his heart he prayed loudly to God to deliver him from “all artists, all learned men and especially from female artists and learned women, a most vexatious class”. Nevertheless he did not yet give up his efforts to tempt Phaidrig with his choicest dishes, with his best meats and wines, for he still remembered the joy with which he had read and heard the early lyrics of the poet. “How fares the noble, the great and excellent Phaidrig?” he would ask again and again. But the poet would only answer, “I have never had worse days nor worse nights nor worse dinners in all my life.” And he touched not a morsel and his brow was full of thunder. And as the men of genius dawdled and grumbled over the banquet which Finvarra had made for them at Ardna Gashel they suddenly became aware of a most peculiar sound outside the palace walls. It was a vibrating, impressive, impetuous crackle and hiss like a raging tempest of fire in full blaze. 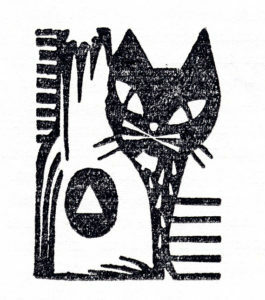 And before the poets and painters, the musicians, the sculptors, the architects and their critics had time to feel more than one pang of fear, they were hemmed in on every side by an army of black cats, cats that seemed to have assumed the size of bulls, rapacious, panting, hot-breathed, cruel, jagged-eared and snub-nosed. 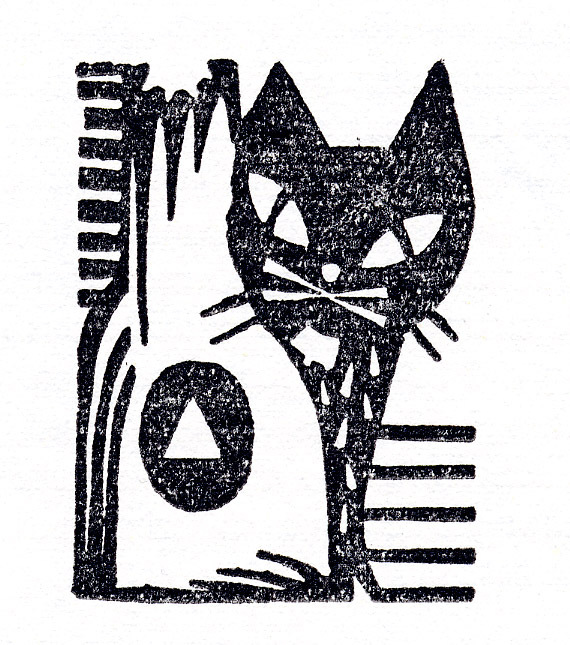 At the end of no more than five minutes all the company were swallowed up in a nightmare of warm, black fur, sharp pointed teeth and still sharper claws and lost forever in a hideous whirl of the nimble, the angry, the vindictive, the glare-eyed and the terrible. From the door of his cell at Clonmacnoise St. Keiran watched the end of the artists and their Council and, though he was not particularly fond of cats, he was well pleased. Finvarra, of course, was spared, and he was made ruler of Ireland. Politicians and economists governed the country under him and events took the course described in our history books. The ruins of Ardna Gashel, now buried in nettles and brambles and hemmed in by gigantic yews, chestnuts and sycamores, can still be descried from the blue waters of the bay. Archaeologists have been unable to account satisfactorily for the character of the remains. 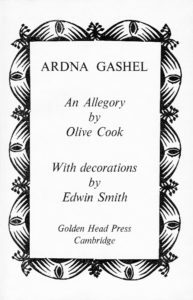 The name of Ardna Gashel, though famed in local legend, is not connected with any building known to have stood on the site in historical times and none of the theories put forward to explain the fragments of arches and mouldings of conflicting styles, the shattered Gothic sculptures, classical capitals, coffered ceilings, fretted pinnacles and the strange, shapeless masses of broken and twisted metal found in the undergrowth have been accepted by experts. The authority of Ossian of course carries no weight whatsoever. Yet how else interpret the recent experience of a traveller who by chance penetrated the wild demesne of Ardna Gashel? Passing under the half broken entrance arch he traced the winding course of the former drive through dense, damp thickets and came at length to the remains of the palace on the edge of the lapping water. He could only guess at its former grandeur by the vast extent of the crumbling masonry; he crossed an irregular, cobbled courtyard bounded on one side by the rent wall of what might once have been a vast banqueting hall. He peered through a yawning opening that could have been the window of the dais end and saw a huge fireplace flanked by still recognisable statues of Apollo and Aphrodite. But what astonished him and made his flesh creep a little was the sight of several enormous black, glossy cats playing with a coronet in the shape of a laurel wreath fashioned of gold and emeralds.